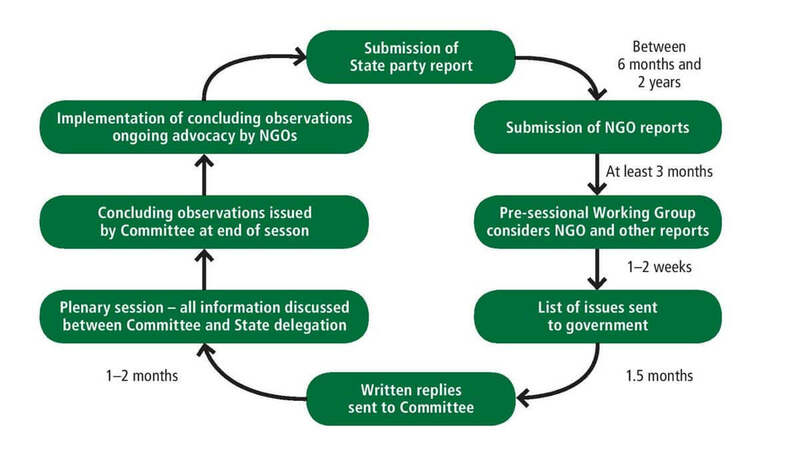 The Committee regularly reviews each State party to the CRC and its Optional Protocols to assess the progress each State has made in implementing them and to provide country-specific recommendations. 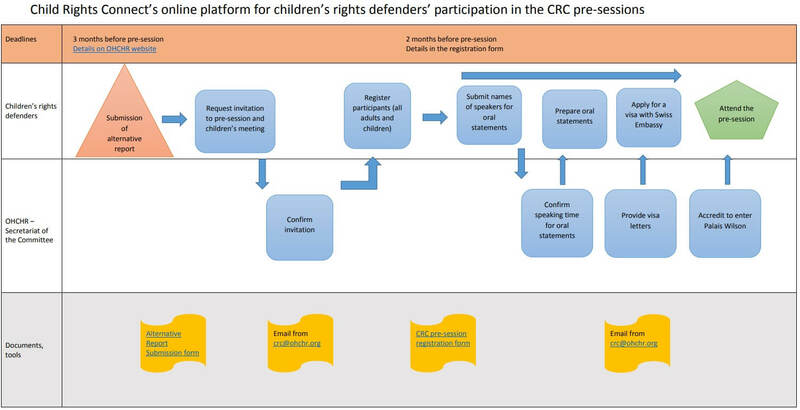 Understanding and taking part in the various stages of the CRC reporting cycle is a powerful way for children’s rights defenders, including children, to monitor and help improve children’s rights in their countries. Child Rights Connect is the strategic partner of the Committee and OHCHR for the engagement of children’s rights defenders in the reporting cycle. Our role is to strengthen the capacity of children’s rights defenders, including children, to use the CRC reporting cycle as an advocacy tool and in connection with other relevant UN human rights entry points. Our approach is to maximize the potential of the Child Rights Connect network to empower children’s rights defenders in a sustainable way and with multiplying and long-term effect. For more information on the UNCRC Simplified Reporting Procedure (SRP), please consult this page. the effective transmission of written information to the UN Committee on the Rights of the Child and OHCHR. the effective participation of children’s rights defenders in the Committee’s pre-sessions in Geneva. The Committee and OHCHR, its Secretariat, use this platform as the official process for providing written and oral inputs to the Committee, as it is indicated on OHCHR website. Child Rights Connect provides restricted access to the secured platform t o the Committee Secretariat only. Child Rights Connect deals with the information provided in a confidential manner, except for the submissions that are authorized for publication on OHCHR website. Child Rights Connect cannot be held responsible if unauthorized third parties receive the information. As per the Committee’s Guidelines, only those who have submitted written information can request an invitation. Working methods for the participation of children in the reporting process of the Committee on the Rights of the Child: English, Français, Español.